Jim Shannon MP for Strangford has welcomed the investment of £1.5 Million into the first distillery opened in Northern Ireland for more than 130 years. He said: “I was very much involved in supporting and overseeing the Echlinville Distillery ensuring it became a reality. 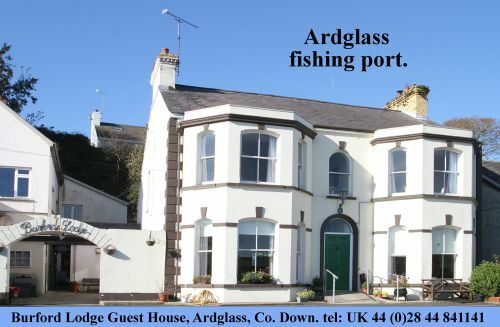 It is one of just two functional distilleries in Northern Ireland. 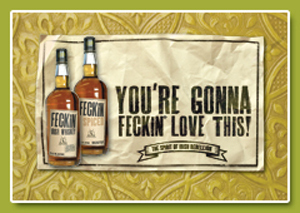 Building on the success of the Feckin whisky brand, Echlinville Distillery in Kircubbin continues to expand. 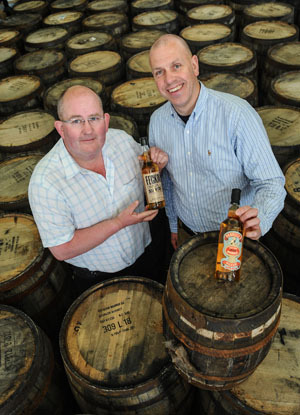 Pictured are Shane Braniff, Echlinville Distillery, with John Hood, Invest NI. (Photo by Simon Graham/ Harrison Photography). Echlinville Distillery will step up production of Irish whiskey and other spirits for export within the next few months. The company has recently launched a Patron’s Promise initiative that provides whiskey devotees and investors the opportunity to buy casks of malt in advance of the official launch.